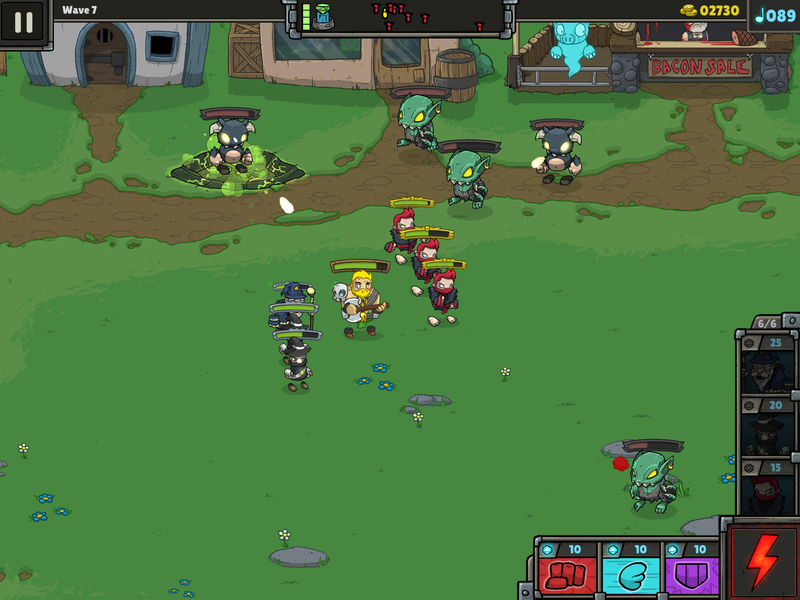 There are two things to look out for in Bardbarian: one is to protect the town crystal that the baddies (orcs, goblins, ghouls, etc.) are set on destroying, and the second is, Brad the Bardbarian has to stay alive all throughout. Fail to do both, it’s game over for you. 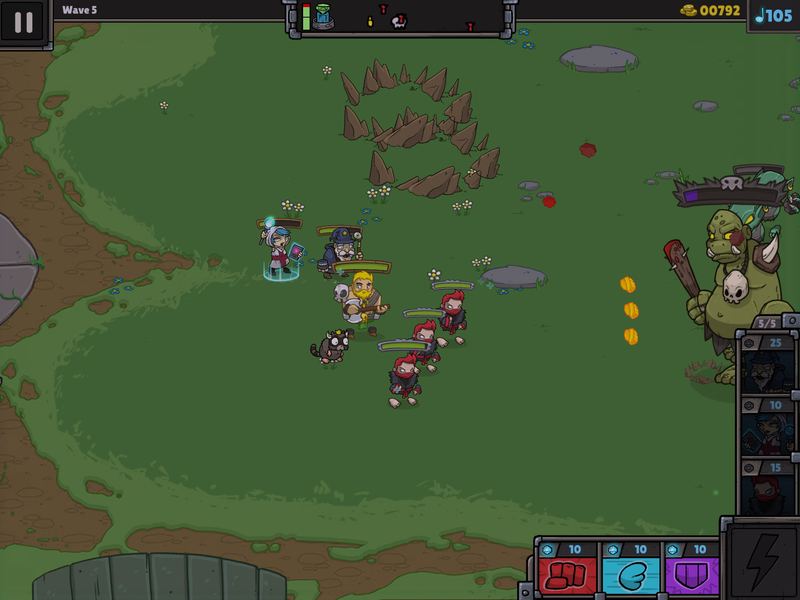 However, Bardbarian is not a simple game of avoid and survive, and shoot randomly. Depending on your combination of units, you can do pretty cool things by rotating your conga line while running to shoot down enemies. You can use your archers to strike from a distance, your wizards to knock them back, and your brawlers to deal heavy damage. Alternatively, you can employ a healer (who heals automatically when your group is idle) together with a mage to deal some nasty green acid. As Brad, you can only summon at most 3 types or classes of units/allies, so you have to think of a strategy that’s effective for your needs. While you can only use 3 types or classes, you can summon at least 4 of these guys. In my case, I have brawlers to withstand powerful blows, archers to shoot from a distance, healers when needed, black mages to spew out green acid and wizards to knock back and electrocute baddies. 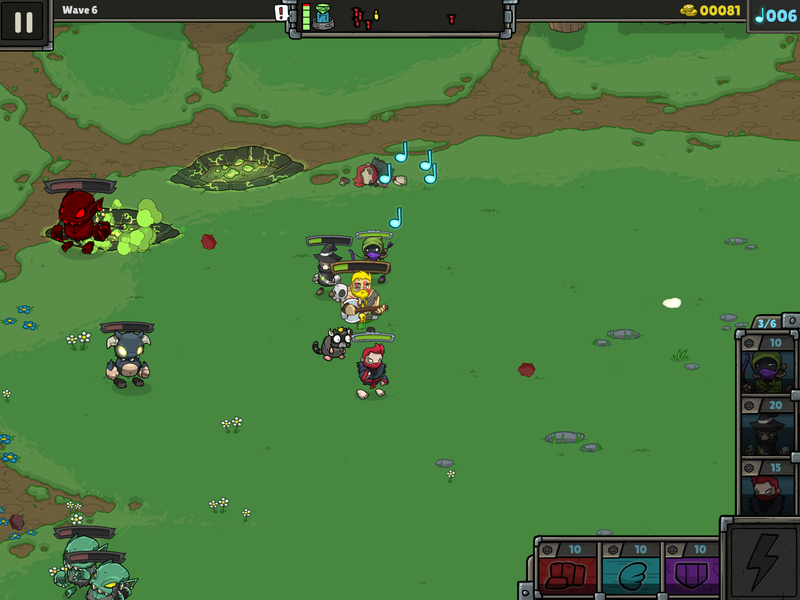 Of course, I can only choose three and my favorite combo so far is the brawler, mage and wizard. 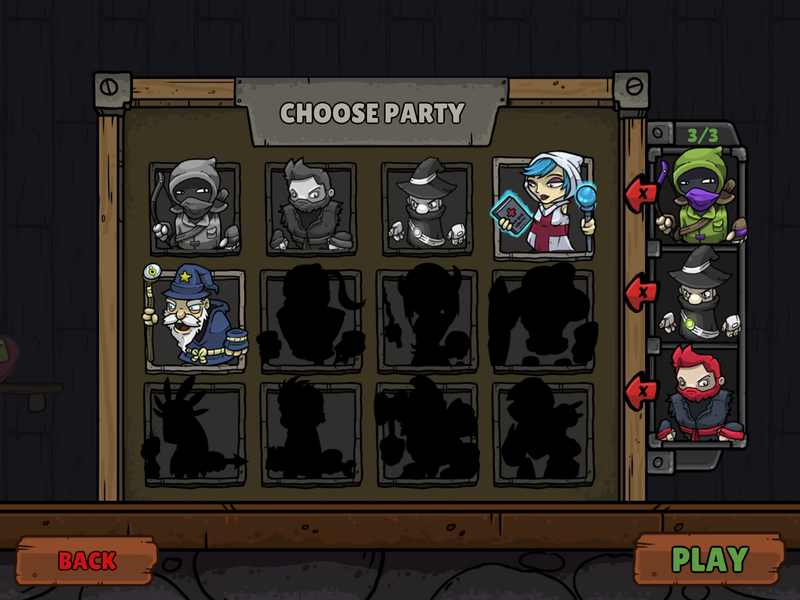 Upgrading the ‘friends’ option allows me to increase the size of my party, so right now I have 6 which I distribute among the 3 classes that I’ve selected. 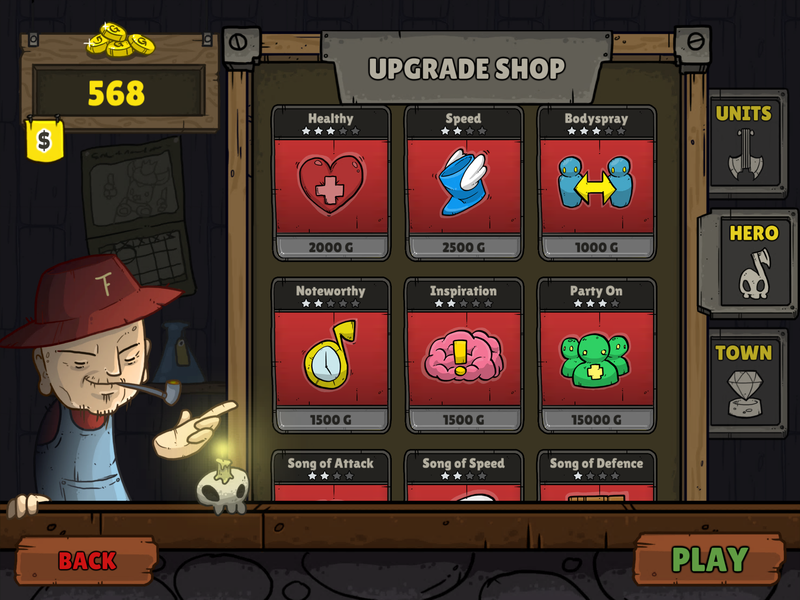 Speaking of upgrades, there are a lot of different upgrades you can purchase with gold earned from killing enemies. You can choose to upgrade your units, Brad or the town. Upgrading the town means you can extend the health of the town crystal, keep stores open to pick up gold and bacon (for extra health), employing the town drunk to weaken the enemies with his alcohol-spawned bile among others. The good thing is, gold is easily earned and you can upgrade your stuff every time. 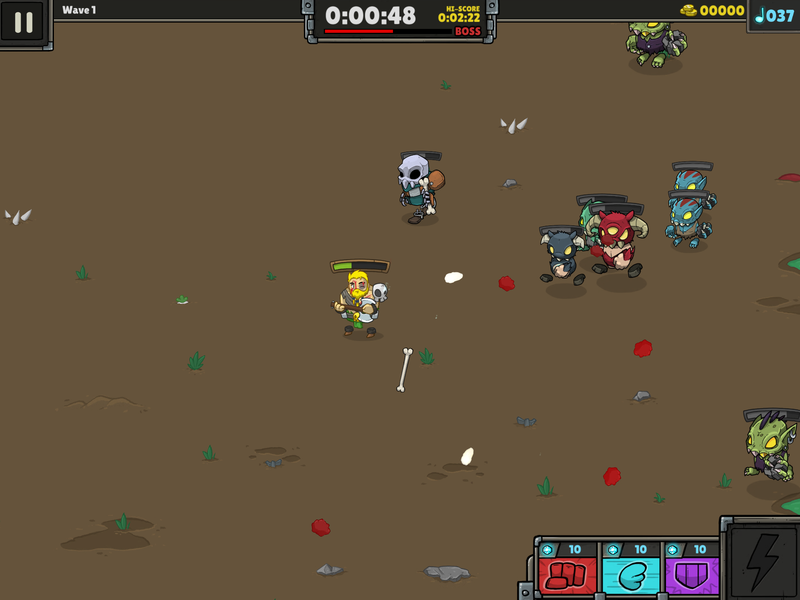 Another option is to try your luck at the insanely difficult survival mode which pits you against monsters and ghouls, bosses and minions alike, with only some allies wandering nearby and no upgrades to rely on. So far, the sole in app purchase (IAP) I’ve seen is upgrading Brad’s axe-lute to a shinier, golden one which lets him level up twice as fast. I am contemplating on buying it to show my thumbs up for this game. What I’m not a fan of, is the art. 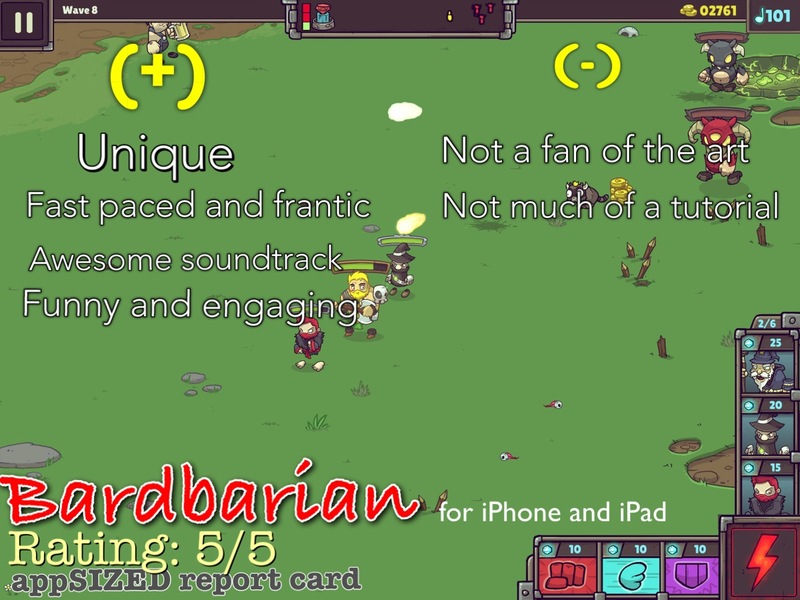 Games like Bardbarian and Magicka (the iOS version) tend to remind me of one of my all-time favorite games, Battleheart, but tend to be a lesser version, art and animation wise. The cartoony, hand-drawn art isn’t that cute or appealing the way Battleheart is, but if you can look past the art, you’ll find a very fun and enjoyable game like no other.